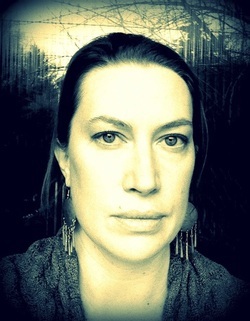 Heather Arndt Anderson is a Portland, Oregon-based plant ecologist and food writer. For the past ten years, she has been conducting botanical field surveys and wetland delineations, and writing technical reports for federal and state regulatory agencies. Heather is the author of Portland: A Food Biography (Rowman & Littlefield, 2014), Breakfast: A History (New York: AltaMira Press, 2013) and she wrote the Pacific Northwest chapter in the 4-volume Food Cultures of the World Encyclopedia (Westport, CT: Greenwood Press, 2011). Her recipes have been published in the cookbook One Big Table: 600 Recipes from the Nation’s Best Home Cooks, Farmers, Fishermen, Pit-Masters, and Chefs, and she is a contributing writer to the magazines The Farmer General and Remedy Quarterly. Heather's great-grandparent, Johannes and Elizabeth Arndt emigrated from Norka, Russia to Nebraska in 1911 or 1912. The family later moved West and settled in Portland, Oregon.